*Flushability has been tested using standard residential piping. For best results, scoop on a daily basis and flush no more than 2 clumps at a time. Septic tank system disposal was not tested and is not recommended. Consult with relevant municipal authorities on flushing restrictions. For example, the State of California encourages putting cat feces in trash, and discourages flushing feces in toilets or disposal in drains. **As compared to many scoopable clay litters, number of uses may vary based on individual litter changing habits. 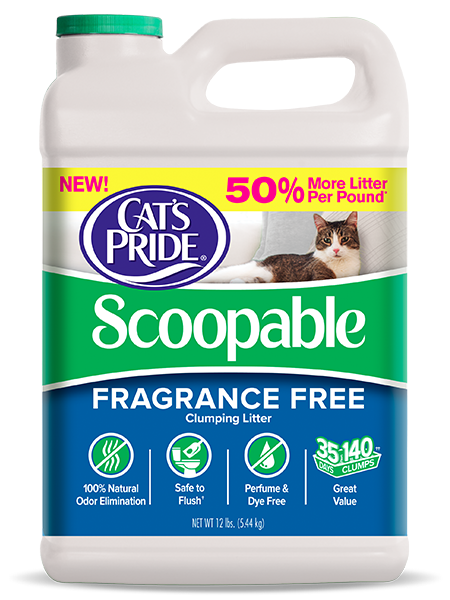 Cat’s Pride Scoopable Fragrance Free is rated 3.6 out of 5 by 13. Rated 5 out of 5 by DB59 from Great Litter I love this litter! I foster kitties for St. Louis Pet Rescue and go through a ton of litter every year! It is important to me that the litter has minimal dust and easy to scoop. Cat's Pride is both of these! 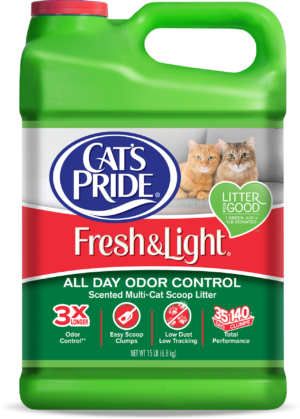 Rated 5 out of 5 by AntarcticDream from Great value, great product Love Cat's Pride; it's a great value and my cats (6) love it! Rated 5 out of 5 by SandraL from Outstanding! I have One feline and One human who are VERY bothered by cat litter. The cat was nearly put down by a several visits to the vet...until I figured out her "allergy." It is not just removing the scent and dust...it is removing the CHEMICALS. This appears to have low chemical additives as it is the only cat litter product that doesn't bother them at all. Please never stop making it! As it is I have to order it on line now as my neighborhood stores do not stock it. Keep it! 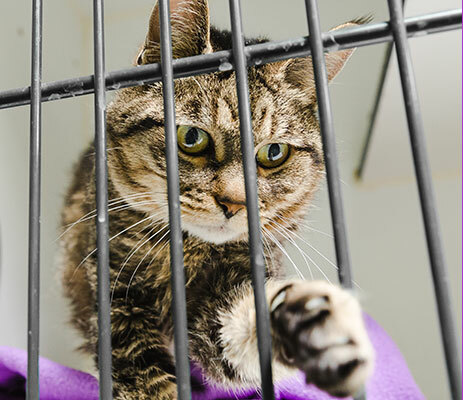 And, please do not raise the price as I rescue/rehome cats as needed. Thanks. Rated 5 out of 5 by Kitty486 from My cats prefer this one I live the light weight and my cats prefer the texture I think. Whatever he reason this is the litter they choose. I have tested several in different boxes and both use this over other litters. Rated 5 out of 5 by ConnieLynn from As close to perfect as I've found Light Weight. 1/2 the cost of the other light weights. No scent. All natural. Low dust. Flushable. It's the texture of sand, and not as rough as other litters on my cat's paws, and never gets caught in her claws. It does get tracked, but I haven't found a litter yet that doesn't. I scoop every morning and sweep around the box, and that pretty much controls it. No problem with odor if you scoop and flush daily. If you don't, this isn't the product for you. I have 1 cat and one container of litter has lasted for a month. Rated 5 out of 5 by Charlie66 from Very little dust! 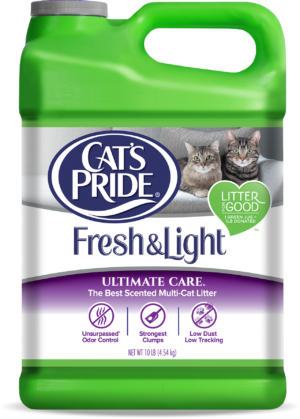 The best unscented scoopable litter I've ever used! I've tried almost every brand of unscented litter available including the very expensive ones. None of them are dustfree, but this comes closest. Rated 5 out of 5 by KathyLWFL from Cat loves it! I inherited my mother-in-law's cat when he was 13. He's 16 now. Until the lightweight unscented scoopable came on the market in my area this year, he had been very negligent to use the litter box to poop (that's thru-out his lifetime). Voila!! I put this litter in his box and now he's NEVER not used the box for everything. PLEASE do not discontinue this great product!! Rated 4 out of 5 by catlady20 from Great product but need in larger boxes also!! Have used this product several times now since it is almost impossible to find the regular Cat's Pride clay litter bags anymore. This does work quite well but since it is almost double the price of the regular clay litter it needs to be sold also in the much larger boxes so it is more affordable. I need your msds sheet for this product how do I find it? My cat does not like the feel of clay litter on his paws. &nbsp;He was raised with an unscented more sandy type of litter that I can no longer find. &nbsp;Can anyone advise which unscented litter has a more sand feel?